According to the report, all the recent leaks have originated, courtesy of a Ukrainian seller who is offering possibly stolen units of Google Pixel 3 XL at $2000 each. A Ukrainian seller may be responsible for the on-going flood of Google Pixel 3 XL leaks on the internet, reports 9to5Google. According to the report, all the recent leaks have originated, courtesy of a Ukrainian seller who is offering possibly stolen units of Google Pixel 3 XL in large numbers, priced at $2000 each. The report says that a Ukrainian blogger who goes by the name Luchkov got their hands on a Google Pixel 3 XL unit earlier this month, which looks very much like the actual retail unit. This does not appear to be just a dummy unit or prototype as usually tends to be the case. The leak seemed authentic given that the near-retail box, manuals, accessories were all leaked. The report reveals that according to this blogger’s Telegram bio, he/she is associated with a company called Wylsacom Media. Interestingly enough, Wylsacom also shared some hands-on video footage of Pixel 3 XL with a watermark linking to a mysterious Telegram account. 9to5Google argues that the dealer could be soliciting buyers for presumably stolen Google Pixel 3 XL units on Telegram. But if it is indeed true that somebody is selling the stolen units of the Pixel 3 XL in black market, it is not known how the dealer obtained them in the first place. 9to5Google has learnt citing a source that both Google and Foxconn teams are looking into this matter. The Pixel 3 series is expected to launch on October 4, going with the past trend from Google. 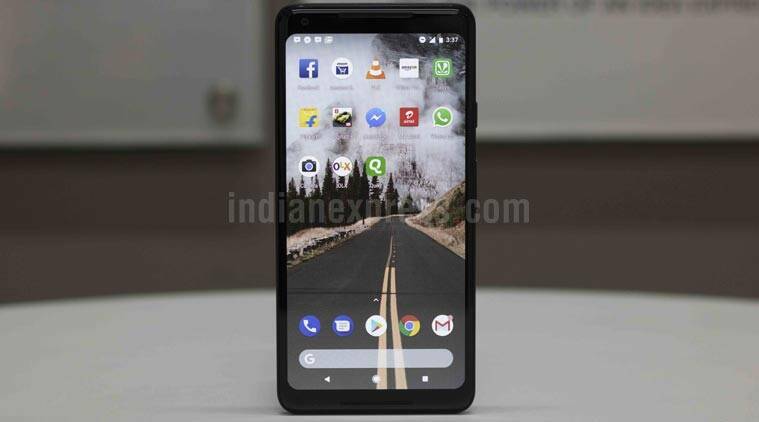 It will likely come with dual-front cameras and ‘Super Selfies’ with Google adding a notch on the front display as well for the bigger Pixel 3 XL. Rumours also claim the Pixel 3 series could support wireless charging, which suggests a glass back for the phones.